Here is a building I have longed to photograph for many months, maybe even years. Today, I finally got my chance. 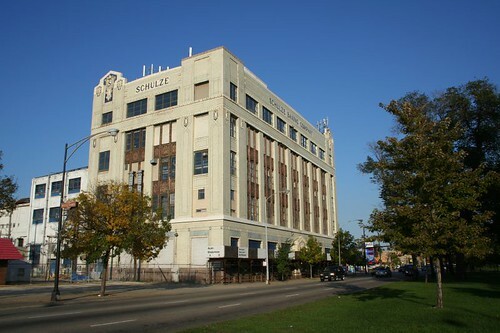 Amid the houses, apartments, and low-grade commercial enterprises along Garfield Boulevard, this gleaming, towering industrial building stands out like a jewel. Seeing it for the first time is a take-your-breath-away, holy-crap-what’s-that kind of moment. German immigrant Paul Schulze founded his baking company around the turn of the century, and worked to promote sanitary conditions in industrial bakeries (or at least the perception thereof.) 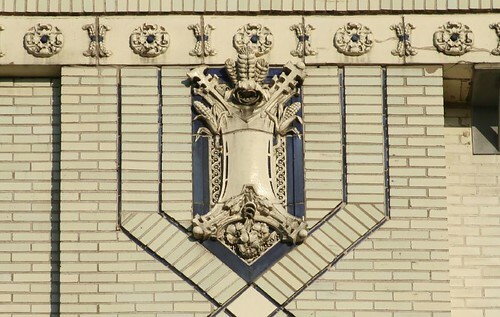 The building went up in 1914, designed by John Ahlschlager & Son. 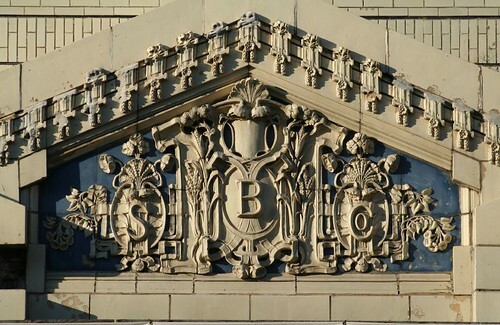 Among the building’s lavish ornament are some flagrant Louis Sullivan knockoffs, enhanced with sculpted ears of corn. 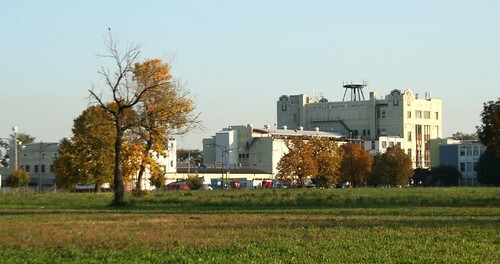 Behind the five story main building is a long, low industrial complex, still in operation today. The building appears to be having some problems; a piece of the terra cotta cornice is missing, and this side wall has been propped up with wood beams. 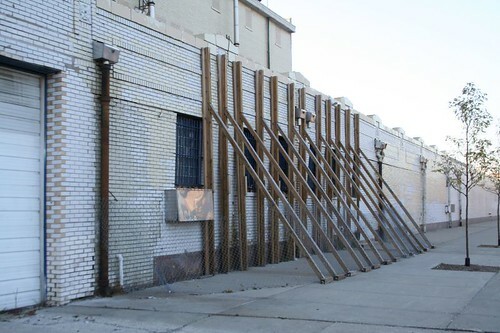 Walkway coverings ring the building, as if to protect passersby from further terra cotta loss. One of the stairwells, visible from the street, has been tagged with spray paint, hinting at an under-used if not outright abandoned building. 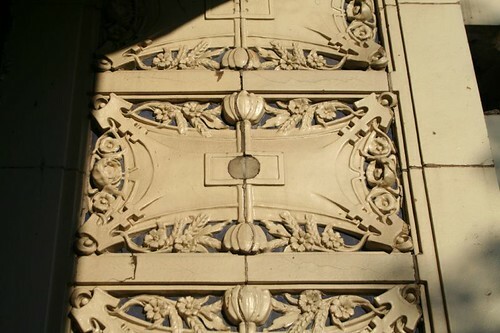 This entry was posted in industry, Terra Cotta. Bookmark the permalink. ← What do they want from us?! As always, I’ve been eyeing this building from the bus for years, but you beat me to it. It is such an odd standout there. I hope it isn’t abandoned! I love the details and it is lovely to look at. I have never actually seen this one before. some stunning pictures of what looks like an amazing building. Keep posting this kind of thing, I love it!